When Jared Kushner made his first trip to Israel in June as a senior adviser to the president, brokering peace in the Middle East was one of his biggest responsibilities. For an issue as important to global interest as Middle East peace, one would think the U.S. would send more than an amateur diplomat to broker a deal. However, from President Donald Trump’s approach to foreign policy, this is far from the case. Trump has tried to play down the difficulty of this daunting task in the past, claiming that his administration will be the one to finally bring peace to Israel and Palestine. “[Creating peace between Israelis and Palestinians] is something that I think is frankly, maybe, not as difficult as people have thought over the years,” the president said at an appearance with Palestinian President Mahmoud Abbas in May. Trump’s attitude toward the issue shows why he picked someone as unqualified as himself to broker peace in the Middle East. Kushner has a shady history, starting with his education. 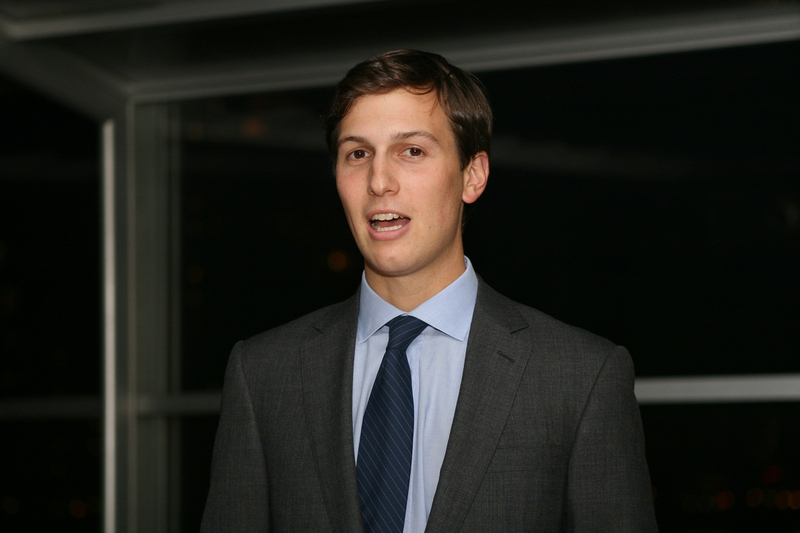 He graduated in 2003 from Harvard University, but a journalist for ProPublica later found that Kushner was granted admission to Harvard only after his billionaire father, Charles Kushner, offered an endowment to the university. In 2005, the elder Kushner was sentenced to two years in prison for tax evasion, witness tampering and making illegal political campaign donations. While Charles was in prison, Jared took control of his father’s real estate business. He later purchased The New York Observer in 2006 and became the CEO of Kushner Companies in 2008. From a business perspective, Kushner’s repertoire is quite impressive, but it does not make him qualified to negotiate peace deals in the Middle East. On all of his trips to the Middle East thus far, Kushner has been accompanied by Jason Greenblatt, the White House’s special representative for international negotiations, and Dina Powell, the deputy national security adviser. Greenblatt is a former chief legal officer for the Trump Organization who also has no experience in foreign diplomacy. Both Greenblatt and Kushner gained their positions based on their relationship with the president, rather than on their merits. The person conducting peace talks in the Middle East should be a seasoned diplomat with experience in the field. Perhaps Powell, a Coptic-American who was born in Egypt and previously served in the George W. Bush administration, is worthier of the job. She has prior experience in government, mainly as assistant secretary of state for educational and cultural affairs and deputy undersecretary of state for public diplomacy and public affairs, and she would represent a merit-based selection, rather than one based on a personal relationship. If not Powell, someone else should replace Kushner as the administration’s Middle East peace envoy. In our view, he is not qualified for this position. No Replies to "Inexperienced, unqualified Kushner is wrong man to broker peace in Middle East"